I loved my job, but I knew my husband wanted to work at his calling, too. Ever since cancer, he had been unable to find a job as a full-time teacher due to our location—we lived in a small town with a university that everyone wanted to move to. Each job opening in the public schools had more than 300 applicants. He went back to school to earn his administrator’s credential, and started looking for work as he neared the end of his program. Our youngest would graduate from high school, and our eldest was doing well in college and it seemed like the perfect time to make a transition. Although God led us every step of the way to my husband’s dream job, I had a hard time leaving our community of eleven years. To follow my husband in the pursuit of his dreams seemed like an interruption of my dreams. The first year at his new job was particularly difficult. I didn’t have a job, but I decided I would try to follow a long-suppressed dream of my own whilst looking for a teaching position in the local community. The suppressed dream involves words and writing. I have a middle grade novel manuscript sitting in a closet, along with an unfinished Harlequin romance that I started at the tender age of 15, an inspirational novel manuscript and the completed manuscript for a non-fiction book on caregiving. Somehow, in my attempt to figure out what to do with all of those manuscripts, I got sucked into blogging, and twitter, and finding a community without borders. Those manuscripts still sit in my closet, while I wait for direction. After a year off from teaching, a position opened up at my husband’s school for an English teacher and his boss interviewed and hired me. I worried about what would happen to the blog, but I felt called to teach as well. As my second year of teaching here draws to a close, I realize how much I’ll miss my students and that I’ll probably worry about them until August when school starts. I also realize that maybe God wants me to both teach and write. I am content to follow his lead. Has following God ever seemed hard for you? 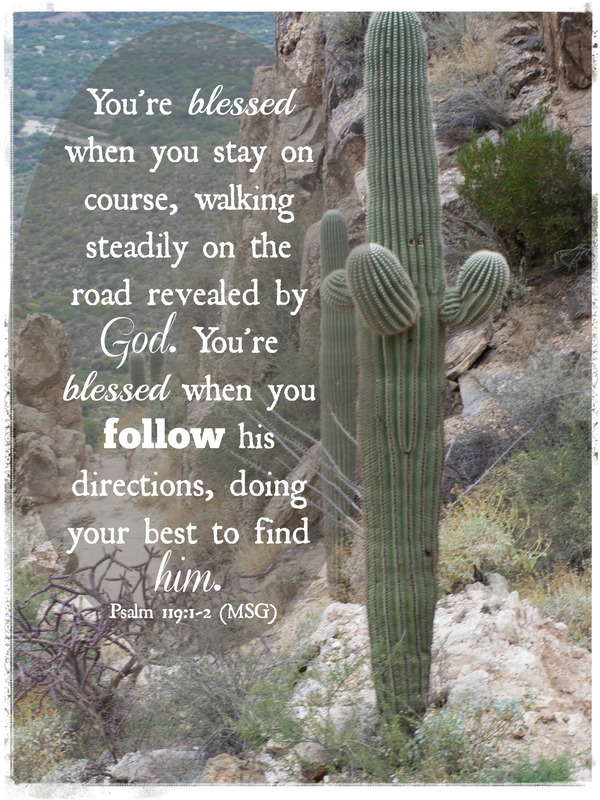 Did you end up feeling blessed because you followed?